As your Chief of Police, I will work toward partnering with the community to solve problems and seek solutions in order to safeguard lives and property, protect the peaceful against violence, and respect the Constitutional rights of community members to liberty, equality and justice. I will conduct this goal in an efficient and effective manner, consistent with statutory authority, available budgeted resources and professional skills. The Grangeville Police Department recognizes its members as its most valuable resource, and will strive to maintain the quality of public service through committed leadership, supervisory direction, career development, succession planning and training. The Grangeville Police Department is dedicated to serve and protect the community and its visitors through the highest standards of ethical conduct and professionalism. We will strive to accomplish this through enforcement, prevention, and education to help create and sustain a safe and healthy community. The Grangeville Police Department will continue to grow, adapt and evolve as we provide the highest level of service and protection to our residents and the visitors of our community. This will be achieved by providing our officers and employees with the knowledge, tools and opportunities to meet and exceed all present and future needs of the City, within the scope of law enforcement services. We will work in cooperation with our community to proactively identify and address areas of needed improvement, and to continually provide the level of service and safety deserved by our City, its residents and visitors. Being dedicated to quality, timeliness and excellence in our service to the community. Candor, honesty, and ethical behavior by the members of our department. Having pride in our work, in our dedication to public service, and being the best we can be. 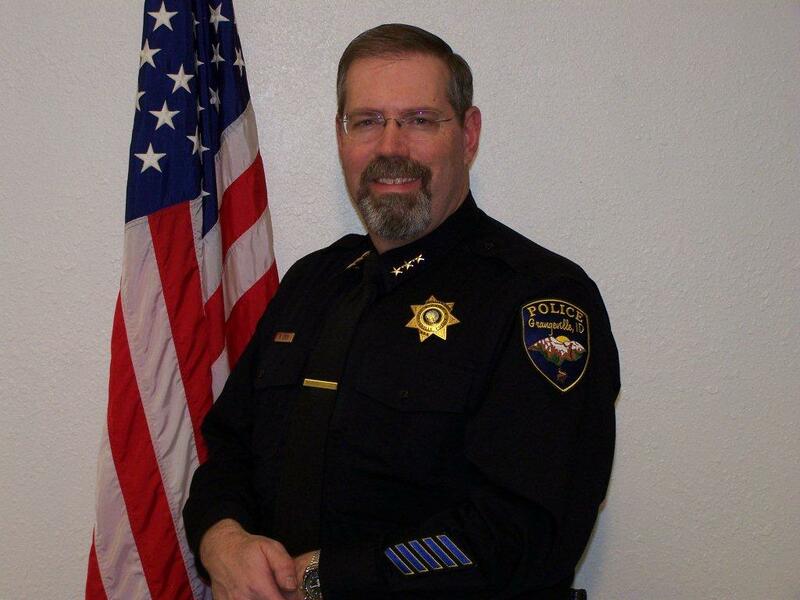 Both personal and organizational integrity as being essential to the maintenance of the Grangeville Police Department. Keeping abreast of new developments in problem solving and crime prevention. Honesty, integrity, and consistent discipline within our organization to maintain our credibility with the community. A partnership with the citizens of Grangeville in making the City safe for all to work, live and visit. The opportunity to provide service to our community in a manner which is fair, courteous, responsive and efficient. The need to treat people with respect and dignity, regardless of their age, race, gender, appearance, individual beliefs or life style. Sensitivity is the key quality that we should bring to our interaction with the public and other agencies in the criminal justice system with whom we interact. The meeting starts at 6:30 due to a Water Scope Presentation to the City Council by JUB Engineers; regular business to follow after presentation.